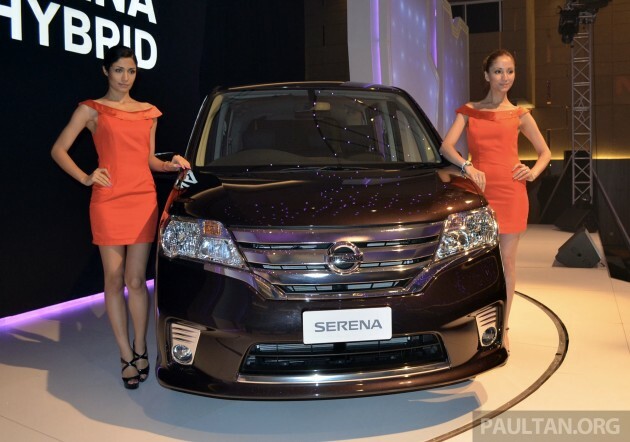 UPDATE: ETCM has launched the Serena S-Hybrid facelift, now locally assembled in Malaysia. Edaran Tan Chong Motor (ETCM) officially launched the Nissan Serena S-Hybrid this morning in Setia Alam. It doesn’t come as a surprise – the hybrid Serena C26 was open for booking earlier this month, but we’ve seen it in Malaysia as early as January, before the MPV appeared on the oto.my car classifieds in June. 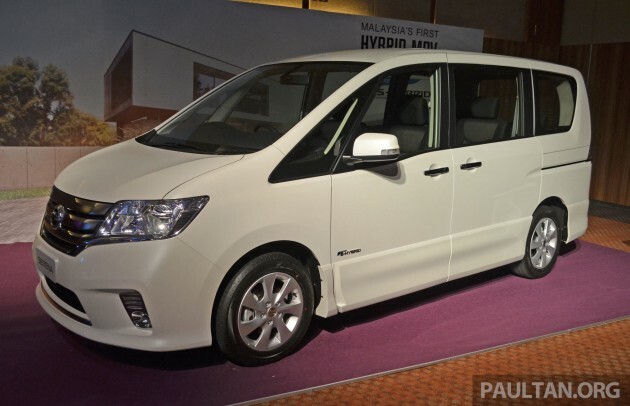 ETCM bills the Nissan Serena S-Hybrid as first hybrid MPV to be sold in Malaysia. Imported as a CBU from Japan, where the Serena is the best selling mid-size MPV ahead of the Toyota Noah, Voxy and Honda Stepwgn, this model takes advantage of duty exemptions on hybrid vehicles below 2,000 cc that at the moment is due to end on December 31, 2013. No extension to that date has been announced by the government so far, but we understand that ETCM is ready for local assembly if CBU benefits end along with the year 2013. The Serena S-Hybrid is powered by a MR20DD 2.0 litre engine with 147 PS and 210 Nm (figures are from engine alone, excluding 54 Nm from electric motor). This direct injection twin-CVTC unit is paired to Nissan’s latest Xtronic CVT gearbox with Adaptive Shift Control. An Idling Stop System shuts down the engine when idle, and restarts in just 0.3 seconds after the brake is released. There’s a timer that shows the driver how long idle stop is in use. The S in S-Hybrid stands for “smart” and this Serena is actually a “micro-hybrid” of sorts. What Nissan did was beef up the ECO Motor, the Serena’s starter motor that controls Idling Stop and functions as an alternator during deceleration. The starter motor uses a belt pulley type cranking system instead of a normal gear type unit. Even the regular Serena has this, but in the Serena S-Hybrid, the capacity of this motor is increased from 1.0kW/150A to 1.8kW/200A, and the engine bay has an extra 12V-27V-Ah battery. The main 12V-64V-Ah battery drives the motor, while the sub battery powers electrical components like the radio, wipers, etc. With it, the engine also does not need to move the car AND power the car’s electrical needs at the same time, resulting in fuel savings. Fuel economy is listed as best in class – 15.2 km/l in Japan’s JC08 test cycle. However it’s important to note the ECO-motor does actually contribute to acceleration – this is not a motor assist system like Honda’s IMA. On to the MPV part of the equation. The Serena is advertised as an eight-seater (eight seat belts), with a 2-3-3 formation. A variety of 14 seat configurations are available to the user, and there’s a Smart Multi Centre Seat that slides along the car’s centre aisle. It can function as additional storage for the front row, as an extra seat in the middle row, or as a tray table to be shared with third row passengers. Getting in and out is easy with powered one-touch sliding doors on both sides of the MPV, which reveal the largest opening in its class. Getting into the third row is done by pushing the left second row captain’s chair against the one on the right, creating a walkway. Both middle row seats slide fore and aft. The rearmost seats can be folded and flipped up to the sides for max cargo mode. In this case, four mountain bikes can fit in. With all seats in place, additional cargo room comes in the form of an under floor compartment that can swallow a golf bag or a baby stroller. There are plenty of storage spaces, including under seat boxes. Second row occupants get flip up trays with cup holders, too. Standard equipment includes i-Key (keyless entry) with push start, auto climate control, overhead air con vents for the second and third row (temp/fan/mode control for second row), dual airbags, Vehicle Dynamic Control (VDC), ABS, EBD, Brake Assist, auto headlamps and cruise control. ETCM is bringing in the Serena S-Hybrid in the sporty Highway Star trim level with unique front grille and bumpers, 16-inch alloys with sportier suspension and a dark interior theme. Four exterior colour choices are available, and they are Dark Purple, Super Black, Brilliant Pearl White and Brilliant Silver. For a promotional period, ETCM will throw in a 6.5-inch head unit with navigation, USB, Bluetooth and rear view camera, worth RM3,300. Optional equipment include a 10.1-inch roof mounted LCD panel (RM700), combination leather interior (RM2,800), window tint (V-Kool or Solar Gard) and door visors (RM400). The imported from Japan Nissan Serena S-Hybrid retails for RM149,500 on-the-road including insurance. Warranty is three years or 100,000 km, whichever comes first. Looks barebone for 150k…i was hoping it would be priced less than 140k. Anyway, just a wishful thinking it seems in the fantasy land of Malaysia when it comes to car prices. The specs was agreed between etcm and nissan jp. 2 airbags is a joke. The steering audio control gone. Audio system is nissan brand elcheapo china. 1.6++ meter width is narrow. Recently launch new Stavic is 1.9++ meter. In Japan this retail ard 90k. Without excise ang import duty, left only sales tax n handling charges. Plus with much inferior spec compared to japan model, etcm can safely price this between 120k to 130k with big enuf margin. Anybody buying this should seriously look at new Stavic which is fully loaded at only 117k..
Buy this big mpv to ferry your family around for only 2 years and then sell it off? Where they gone then? Some people need such big vehicle. Its function over form. Stavic 11 seater, can easily take out the final row and u have proper (width) 8 seater with ample cargo space big enough for a fridge. 2.0 VGT Merc sourced diesel with 360nm torque. Bosch ‘made in germany’ is everywhere in the engine bay. Front double wishbone, rear multilink. Same roadtax but more pulling power. Electric seat, full leather, Blaupunk DVD with roof 10inch monitor complete with gps and reverse cam. Steering audio control + cruise. The most important thing, the look is better than the last Stavic. This nissan real world fc still around 10++ km/l, only slightly better than the usual estima/alphard fc. In Malaysia, only T & H will have higher resale value, any other brands will be about the same. After sales how? Parts availability? Customer service and support? Reliability? Maintenance cost? Stavic is a much better buy if you plan to use for long-term. This Serena does it receive some tax exemption? The ordinary Serena without hybrid is cheaper right? Are you sure your 5 questions are all better answered by Nissan? Have you had any friend who made a warranty claim which took more than 3 months? It is easy to become billionaire by selling bronze at gold prize. Why not consider the Starex? full fledged 11 seater in comfort with easy access due to high roof and sliding doors. Same price range as Serena. It does came under tax exemption scheme and tcm proudly publish that in its website. The full spec model for japan market with all round airbags and complete infotainment system cost much cheaper. That’s why I asked ma…..After sales how? Parts availability? Customer service and support? Reliability? Maintenance cost? Somebody was rite comparing this serena n honda freed. Indeed they have the same width, only serena slightly longer and slightly higher. Both are narrow mpv with honda powering using 1.5 while serena 2.0. I use to drive freed and the power is more than enough for genting run. Honda is well known for better engine n chassis packaging compared to nissan. The biggest different is, freed only rm100K++, but this serena rm150K. And that is after so-called hybrid tax exemption. My goodness!! By d way, freed have 2 version and one of it include 2 power doors. Rear light looks like Ah Beng version. Never mind. Value for money for long term usage. Dual airbags ? Is this supposed to be a joke ? For a car this age, size and price, 4 airbags should be the bare minimum ! For the same price, you can get a 5 year old JDM Toyota Alphard with 6 airbags and additional safety equipment. TCM is no better than UMW. Earn so much profit, can’t even spare a couple more airbags. Shame on you. Aero, as said this is fully CBU la. the dual airbag is determined by Nissan Japan right? no point blaming ETCM also. That means ETCM acted on behalf of car owners here (without acknowledging). Pretend we no need this and that. Precisely. I am not sure about Nissan, but for Toyota MPVs (Voxy, Noah, Estima) the price in this country for optional VSC and curtain airbag are 63,000 yen & 79,000 yen respectively. Ok, Aero. You go buy a FIVE YEAR OLD reconditioned car then. Nobody’s asking you to buy, or using your money to buy this Nissan. You’re right, I won’t be buying this car, nor will I buy an Alphard, but thousands of Malaysians will and already have. I’m very particular about automobile safety, it’s something most Malaysians do not consider when buying cars, which is disappointing because hundreds of unnecessary deaths happen each year just because the local manufacturers cut costs on safety equipment, knowing that the majority of Malaysians won’t mind, provided that the Toyota/Honda/Nissan/BMW/Merc etc. badge is evidence enough of a good car. Well that’s not the case. What’s the point in driving an expensive 150,000 ringgit car without sufficient safety kit ? It’s no more than a well disguised luxurious coffin on wheels. Aero, what car r u driving to justify your requirements ? Aero, come on lah! the car is not expensive but when they came here… so u think they sell this in Japan 150k?! It’s quite an open secret TCM is very, very chinaman company la. The very company that said almera need 1 airbag only cuz its body is strong enough. Safety? If you don’t mind used (well, to suggest a recond JDM should mean you’re open to this too), get a Volvo XC90, the end. You are not making an apple-to-apple comparisaon. Air bag warranty expires after 3 years. What sort of comfort do you get out from the 6 air bad with expired warranty? Undless the recon car seller warrant the 6 air bags function like new as the Serena! 2-airbags with ESP, then size does matter, in this case, Stavic will offer much more metal to protect you, this is Newton’s law. Perhaps not, in any case, I was just trying to iterate how backward the Serena above is compared to its older JDM counterparts. The age evens the playing field. If I’m not mistaken, Toyota has no serious issues with their airbags. Even if there is, there will be a worldwide recall. The warranty won’t make much difference in most Toyotas, they’re reliable (albeit boring) cars. TCM is worse of all, UMW still maintain standard spec when CBU from Japan but TCM still want to rip off for this. the problem is that the optional airbag available only for driver side and front passenger side airbag…no more airbag being offer for back passenger (from what i read from nissan japan website)..im no kidding. asked ppl to buy recond junk, u must be crony! 1695mm width konon, and shorter ya? They should increase the width of the cabin. People looking for MPV because they want comfort and spacious. This is just too narrow and where is the comfort when fitting 8 pax??? Its the model are so tall or the car a bit short? Looks like smaller then old version of Serena. This price should be lot profit for tan chong!cause usually they play throw down price. If the price set at rm 139K will be very attractive. Expected price not more then 140 k…in japan around 90 k…how can tcm came out with this price…want to tapau more,dont be greedy..
err..why compare with japan..to them it’s a local made mpv. of course no import tax. still a good buy compared to honda stream. but i’d go for 5008. *correction* what i mean..i dont think these hybrid totally 100% import duty free. extra 2 airbags would be very good. at this situation we should blame it more to the etcm. of course they want to jacke up the price..maximized the profit. Dude dont be to stupid lorr, kindly read earlier article… 90k in Japan after weight tax exemption lorrr, this tax exemption not applicable to Malaysian only Japan..
hybrid below 2.0 is tax exempt! For those who have not seen this car or even test driven please do not even bash it. I was hunting for this MPV since i saw it in Taiwan. And i was impressed when i test drove it over the weekend. Power delivery is good, handles well, great space (even at the last row for adults & awesome headroom & aesthetics to make it feel roomier) & practicality (cubby holes, seats formations & etc) as well. Could be better with wider threads tho. At that price, I find it adequate & rmb that this hybrid doesnt cost a bomb to replace its battery or even maintain. Check the price here vs the one u drove in Taiwan. Lets not start with the spec. This one is stripped down. Take a look on Stavic, how can it be price at 117K which is the price of an empty-spec Innova. serena c26 (current model) not hybrid oni available in 3 country…japan, hongkong n indonesia..
Gonna be my 4th serena in few weeks or days may be. Hukaka, it’s only a few cm bigger than the older version. Indonesia Serena has 6 airbags whereas Malaysia Serena 2 airbags. Indonesian life more precious than Malaysian. how come this one got curtain airbag? haaa haaa.. another stupid one.. kindly read earlier article first lorrr (link to OTO. )… RM90k after weight tax exemption laa idiot…. the price is higher than last gen nissan serena highway, despite of excise duty exemption..
Test drove the Serena and I like it very much except for 2 airbags. Any idea what the steering buttons are for? Instantly turn your car into GT-R. 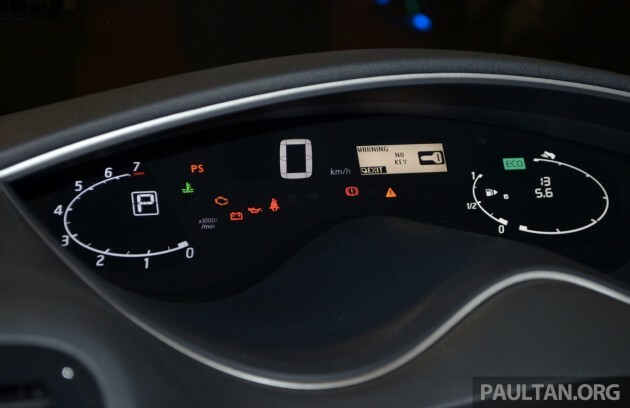 It is cruise control which for me is virtually useless, I would have prefer it to be the audio control which I can use daily and the eco switch botton, which I can switch off when I needed power in instant. Toyota tried to cheat with the Camry by taking out safety features. You know what happenned la afterwards. Is ETCM trying to do the same thing here with the pretty obvious downgrades and sudah terang lagi bersuluh price of RM99k in Japan? the spec has been downgrade? although import & excise duty exempt, but you need to pay sale tax! around RM 20,000.00. 40k profit margin? Woww… lets work for TCM..
Ah Pek, go home. you’re drunk! dual airbag onli for rm500 short of 150K? hahaha. Peugeot 5008 owners will laugh too. no wonder jap brand kedekut. because we got this kind of people. Wow. Got stability program suddenly everybody around you also wont drive reckless or hit you. Amazing!! However if there are 2 models one with 2 Airbags and ESC another with 6 Airbags without ESC. I’d take the one with only 2 airbags. To me, ECS is played a major role in safety than airbags. look like more ppl like recond junk ( in Japan) but treat as gold in Malysia. Malaysia boleh. No wonder the cronies so kAYA! idiot statement from idiot apparently…. u expect to hit u on the front only? or u plan to crash ppl ? if ppl hit u at the back or side?? no need airbags ? 60 people is naza and toyota salesman~ and maybe SsangYong salesman who pretend to be “auto-fan”~ haha~ less than 5% visitor who sight seeing and get cought in to the heat~ why they hate NISSAN? b’coz~ ALMERA IS SELLING WELL~ hahahahaha~ SsangYong?? buy and cry if ur car problem later~ New VIOS?? = “salin baju baru” with OLD ENGINE, OLD GEAR BOX, OLD SUSPENTION, AND OLD CHASIS~ stay on the same price with old model~ but remove out all the accessories~ anyway~ on top of all~ better buy the HONDA CITY~ resell value is higher~ and look more grand~ XD say good bye to china brand~ and korean brand~ they think they can change the market~ HAAARKKKK PTUIHHH!! Very typical and little pricey japanese car. After I test drive this car…..value for money…for those who prefer to own a MPV, I would give a tumb up. Door visor, tinted darker, spoiler. If don have look more like c22 van. Which is the cheapest cost of ownership at year 5? (all in, parts, maintenance, resale)? Can compare like that ar? Different size, the slimmest and shortest first: Serena, Pajero, Stavic. Size, and hence weight, does matter during accident. Price in Japan Brand new starting price is RM75,796.91. If they sell RM100k still acceptable. WTF they meant by duty exemption for hybrid below 2kcc?? Thanks to malaysian government that believe they have conned rakyat without knowing. Still 2 airbags for a 150K cars? Need to rethink it although it’s quite cheap for this size and save a lot of fuel. But 2 airbags makes me wonder if going to bigger but high maintenance Alphard/Vellfire or better performer Pug would be better. And please, usage of high tensile steel the purpose is to save for fuel economy, can you see the logic? Vehicles with high tensile steel must have higher ability to sustained against deformation during a crush. Use 500kg high tensile steel in place of 800kg ordinary steel, have you increased the strength and changed the Newton’s law. The best is use high tensile strength and maintain the same weight. I’m curious why many of us is preoccupied with how many airbags? The real safety star in all cars is really the ESC (Electronic Stability Control). ESC greatly reduces your chances in getting into an accident in the first place. Curtain airbags are important to prevent head injuries during heavy side impacts,you definitely don’t want to be hitting your head against the side window glass. Plus this is a MPV, very likely you are ferrying your family and in all cases, you want the best safety measures against any kind of accidents. There is only so much the driver can do to prevent accidents. ESC, VSC, TRC and the etc are useless once the contact is made. True, airbags aren’t everything in car safety. The body frame, crumple zones, restraint system etc. also make a lot of difference in Passive Safety (in the event of a crash). I saw a crash test video of a Chinese car, the Chery Amulet if I’m not mistaken, got 2 airbags, but both front passengers did not survive because the frame collapsed. And of course, like you mentioned, Active Safety (24-7 online) like ABS, EBD, TCS, BA, ESC, Blind Spot monitor, in-car radar etc. are just as important. But it’s always good to have as much safety kit as possible in a car, regardless of size, price and intended market. Even hypercars like the Veyron have airbags and a super-strong monocoque frame to protect the occupants. This shows that no matter how skilled the driver, accidents on the road are an unavoidable consequence of mass transportation as per Murphy’s Law. Ultimately, our lives matter most, cars are expendable. It shouldn’t be the other way round. y i do see same sentence as yours before? like i hv read this comment before….copy pasted from others? Bit expensive, BUT way better than RECON Jap used cars, with their one month warranty. still better than 5 yrs recon junk ( in Japan ) estima where the new owner in Malysia treats it as GOLD! go and ask old man! He will tell u! how cheap you want it to be? RM30k? S Hybrid = Sucky hybrid. do not buy WHITE colored like those used by HOSPITAL! haha…all white-colored alfart, alison, nogrand are olso hospital vans huh? white-colored sclass, eclass, a6, a4, 328. GT328 (did i say GT) then look taxi in bangkok..? In my opinion, we got no choice … somehow we need to get a car to move around. C26 would be a better buy compared to stupid 2nd hand recond car where u r actually making the umno cronies KAYA n KAYA ( easily $$$ ) For example, to sell an 5 yrs old estima they can easily make 100K out of it. Think before u buy a recond car. Why blame d G when the culprit is tcm? so beautifool….both the car and the cargirls….best part this piece comes with 2 powered doors. got reverse camera? wonder what price would be if there is ckd ver. TC salesman said, no way to get cheaper if CKD after this. See what happened to Teana. I should say this new Serena is currently the best brand new people mover on sale in Malaysian market right now. 2. Offering from recond dealers should not be included into comparison as well. that’s why they create a seatbelt for each person. u the one who let your kids standing while the car moving. airbags work best with seatbelt intact. You think only kids sit in the 2nd & 3rd row? In Honk Kong, also highway star model cbu from jp, why they have xenon headlights with auto levelizer as standard while the cbu in Malaysia only with halogen with manual levelizer? Why can’t we do anything. Its all about us. We keep buying such poor offering. What we have to do is be patient and let the balance do their work. Last time Jazz RM110K nobody wanna buy. Now the price gone down to RM72K and people start buying. This Serena should be treated as such. TCM, your ego & greed will bring down your company. It looks like a bigger brother of Honda Freed to me. Yes, I agree the car are quite narrow. It does not look like a premium MPV. I’m not comparing with estima or veilfire by the way. import duty slashed…excise duty slashed…sales tax 10%…but still price 149k…just let the auto company mark up the price like hell and they always cunning in this! agree with you, should not be that high price since both tax exempted. In my first thought, this car is not qualified to tax exemption, but it was. Honey Star lwn starex siapa menang? Don’t cry over Hybrid car price in Malaysia as no one would sell their Hybrid version lower than the non-hybrid sibling. It is already a known fact in bolehland, why cry out loud? Ask UMW and Hond to adjust their hybrid car price lower than the petrol version, who will be the one who cry out loudest? P1 and P2 la. Would it make more sense to compare petrol vs hybrid price of the same cc? Safe to say the new serena has has more bang for the buck? It comes with much more goodies than the old one, such as twin electric doors, cruise control, individual aircon controls, GPS, reverse cameras, ESC, 8 seats instead of 7 seats, dual vtec, Xtronic CVT. I drive an old Serena and I’m seriously considering changing to this new one. Hard to say. Coz it depends on why you buy an MPV. If you are looking for prestige and a head turner, Estima will turn more heads. If you are looking at fuel economy, Serena S-hybrid is a better buy. Me tired of 2nd hand … time to look at new, so no recons in my shopping list. Recod will make both umno n it cr AP cronies kaya! Old Serene Highway start cost ~RM145. RM136 is not Highway Star model. Come to think of it if you pitch highwaystar old model vs S-hybrid highway star new model, it’s 145k vs 149.5k. Actually only 4.5k difference. for those who booked the car, what is the popular colour, black or white ? Chked with SA, the popular one is white n silver! Ppurple n black no so popular! SA told me, there are more white units in stock followed by silver, then black and lastly purple. ETCM is expecting more people buy white. After I viewed actual show car, Purple, Silver and White…. White is the best looking. Minivans in the U.S. are usually well equipped when it comes to safety features. Thea’s because you have your most precious cargo inside. I don’t own a new minivan but the U.S. spec Camry has 10 airbags. Driving in the U.S. is also a lot safer and less aggressive. Dun tell me Nissan get all 60k as profit. Can someone tell us how much umno pocket out of 60K? I notice you’re pouring fuel on the fire. Lets get this discussion free from those ‘oldman, chronies, political party shall we? Last time Honda Insight US price USD22K equivalent to RM66K. Honda Malaysia manage to sell it at RM98K. Happy with my Mazda 5… This nissan looks box-ish. Looks good.Definately better than anything Korea can come up with. Besides,theres a reason why there are no Korean hybrid cars at the moment.It goes to show that Korean tech is far far far behind Japs & Germans. toyota is always the best, wish, vellfire, alphard, estima all much much better than this nissan junk… forget about this junk, puih!!! Agreed vellfire, alphard, estima are much better but price also. But wish is totally different segment, can compare here. Buy 2nd hand , not virgin how to be better! Must buy the virgin one only shiok to use ! anyone know why the car price always under RM150k? since corporate tax can exempt RM100K for 2 years for car under RM150K. so Gov is indirectly sponsoring those motor cronies..now you get it? why in media Tan Chong said booking reached 600+ ? Some manufacturers like to over declare booking figures to show popularity of their newly launched models. Booking of Nissan Almera was reported to be more than 15000 units within 2 months of launching. But was it the case? SA told me 700 booking already. 1st batch only 500 units available with gps and reverse cam system. See who can put down the money first will get the free gps and reverse cam system. Official news quote ETCM director said booking exceeded 500 since the soft launch. I got the feeling it’s over declared bullcrap what do you think? I was by SA told free GPS and reverse camera is for 1st 1000 units. Booking is RM1000. which one bigger, this or alphard? But u got $ to buy or not …. WtF….. got $€£¥ , just buy! Just visit the nearest Nissan showroom to admire the new car from close. Overall conclusion that the car is nice but lack some sort of luxury thingy,but i do like the sunshade at the middle window and the dual power door. But the prices is a bit higher. High price all becos of old man n umno…. Like toyota camry, initially came without VDC/VSC … people made a lot of noise, so expensive and yet doesn’t come with VDC/VSC. Every high priced luxury should come standard with it. Did it stop people from buying the new Camry? no. the salesperson told me that unlike the toyota/honda hybrid battery which costs rm15k to change after the 5y warranty, this nissan’s hybrid battery only costs rm300+. can anyone comment on this claim? I read up a lot about S-hybrid. The system harvests energy from deceleration and braking. Stores it in the sub batt. So that during idle engine stop, the stored energy is used to power all the electrical systems including aircon. The stored energy is also used for torque assist. The ECO motor is mounted outside the engine block, it is not able to drive the wheels directly. Thus the motor is not able to assist the vehicle’s acceleration like in a regular mild hybrid, which has a motor integrated between the engine and transmission. However the ECO motor does provide a “torque assist function” by delivering 50 Nm of torque for about 1 second to the crankshaft when driving the vehicle away from standstill (after restarting the engine from idle stop). This reduces the amount of fuel required to move a vehicle from standstill and thus contributes to lower fuel consumption when driving in urban traffic. 50nm is a lot of torque for a little electric motor considering the 2.0 litre engine makes 210nm @ 4400rpm. SA told me that it has one small battery (normal car battery) and one bigger batter that cost R200+ and RM300+ separately. 3 yrs warranty. Much cheaper for new replacement cost compare to H and T hybrid car which cost you >10K+ for battery battery. in other words, which hybrid is better? Depends on your taste. T & H claims since day 1 nobody change the batt. Hybrid in Japs quite few years oredi. We here are “Beginners”. Lots to learn abt it. Prius C & Jazz more likely in the same segmment. Serena frm diff segment. U will decide wic 1 u want subject to ur requirement, usage & budget. Take note dat no spare tyre in Jazz & Serena. In my point of view, Serena came in to beat dat recond Alphard & Estima. If u buy these 2 models, some minor modification need to do to fit with our climax, where only few ppl knows, or else u hv to repair the gearbox that is very costly. I wonder y P2 never produce hybrid. They can get the technology frm their big bro T. If d Gov really serious on hybrid they shud encourage our P1 & P2. And this is the time! Read that it costs RM1k to replace both batteries. Batts comes with 3 years warranty. Cost you, RM333.33 per year. SA told me the smaller battery cost RM200+ and bigger battery costs RM300+. 3 years warranty. Total cost is around 600+ max. Malaysia CBU has no air purifier fucniton. poor. Indon selling normal Serena at USD40K, Hybrid should cost more. Tested it, feels very light, steering, throttle response, very smooth. Huge headroom, can wear cowboy hat & drive. Engine stop can be restarted by turning steering or liftoff brakes, nice! Dislikes are stiff suspension, crashes over bumps and irregularities, esp for MPV. Also no leather seats included! A hybrid car with FC 15.2km/l? TCM import this model wearing the Highway Star badge without Xenon and auto levelizer while the SAME model cbu in other countries do have such features….one word: dishonesty. Hopefully paultan can verify for us. Sushimaster: u booked one oleri ? What color? White ? i am getting my new serena s hybrid tomorrow.i am really looking forward to it.i booked before it was launched i.e during rumour time.i ve test drive it when it was launched and it was good.i currently own serena c24 latest version.i know this car very well.it is good and very reliable.those who have doubts i can assure u you cant go wrong with this.brand spanking new from japan! Yoby, when exactly did you book?. I booked on 1st July but the SA informed me there is no news yet on the delivery. Why so slow hizam? I booked on 7/21 also got my car oleri, just waiting for payment! Really got yours already? When? My SA told me there is a problem with custom so delivery is not confirmed. Booked my car on 1st week of july.loan approved on launching day.got my car today.drove from kl to ipoh the fuel avrragel consumption on display was 13.2km/litre.mixed driving mostly 70% highway.speed <110 becoz ops sikap.i guess its still new.but better than my old serena around 11km/l at best(worse in city driving 7-8km/ltre).i think this new serena will get better with time.the best part is the drive is much better than old one smooth and softer.less nvh.overall i am very happy with my new serena. Yoby what color is ur new baby ? Hi jeff mine is pearl white.actually it looks bigger than previous serena although i never measure them.the luggage is of course bigger and the hidden comparment is a bonus.it can store golf set in there.i keep my baby stroller in.still can put other small things like shoes. Rubbish Hybrid….more like a loophole to get the Hybrid Tax. Latest fuel consumption countryside road 30km run speed 60-80kmh aircon auto 25celsiuos fuel 18.1km/litre! Yoby, what is driving experience witje new babe ? Is the tire width 195 to small for the car ? Saw a few white one on the road! Which area you are in? KL? Seen one in JB so far, that’s pathetic. Perhaps less distribution to JB from TC. Can’t imagine when is mine will be delivered which I booked on launching day. I heard only 60 units were sent to northern state from a total of 500 units. KL got the most. Many were used as showroom and test drive unit. The reason you don’t see it right now on the road (I was told) is due to queue to get the car tested at puspakom. Or maybe the respond is indeed poor. I am in Penang and I got my pearl white serena yesterday. Quite satisfied generally. Felt a bit lacking in acceleration; engine need to roar a bit but this is probably bias as I used to driving prius. Will test the uphill performance when have chance. No auto lock after car moving (like prius), so need to do that manually. Reverse camera not too bad. Crisp and bright. Haven’t test at night yet. I believe u r in KL so could see more units on the road. Thks Jeff. By the way heard one of central dealers booked 60 units therefore can deliver to	client faster. is this matter to you, mr narrow??? please respect the car and other people who buy the car, regardless which car. Mr Narrow, The MPV is not defined by the width. BTW, Estima’s width is also just 1798mm, only 63mm wider than Serena S26. If based on your narrow minded definition it should not be called MPV too, right? The width is actual 1735mm. i assume mr narrow own an altis and try to compare the stability and space wise of this mpv to his sedan (just 25mm width different). the stability of a car/mpv is not just determine by their width alone..it a consideration of the overall dimensions..length, width and wheelbase. i just list some sedans which width dimension are less than this serena..vios-1700, polo sedan-1699, persona-1725, honda city-1695..and so on. Space wise, i personally view the real unit and i feel this serena is very spacious..maybe because of the high cabin headroom space, seating arrangement and wide window size. ssangyong ,after 2 year you have work for him.everyday send to services station. Finally I got my Serena, I like it so much, spaces, very good driving experience like with Xtronic CVT, never feel the car is changing gear. I’m strongly recommend to those who plan buy MPV should consider Serena. Learnt from SA that the order has hit more than 1300+ orders. For those who is ordering now, would definitely need to wait for at least 2 months. I have yet to see many on the roads (1st batch only 500, and yet to fully released all), and hope more will be joining the road soon. Nissan pj told booking reached 1700+, u said only 1300+ …who to believe ? Anyhow, they r expecting to sell 2000 units in 2013. And look like more than their target by 2013! Got my serena last week. Nice car … pick up not so cool but enuf to move around comfortably. Space wise very good for 6 adults. Perhaps could change rim to 17″ 205 or 215 to look more sporty! All in all, better than recon mpv that made cronies rich. Agree, the 17″ rim with 215 tyre definitely look more sporty! If changing the rim to 17″ will is create problem to the car? Any expert can share his/her input/experience? You are right. Not many new serena in Penang. I took delivery of the 2nd serena in Penang on 14th August. My guess is that there are not more than a handful of serena right now. Dunno why so few on the road. monday can get my new car.hahahaha.after use serena c24 for 9 year,sure very comfident nissan with c26. Sent my Serena for 1st Service (1000KM) and request to have the GPS unit upload with Thailand map and being advice, no Thailand map for this GPS unit. What kind of GPS it’s? Anyone know how can I have Thailand upload to the GPS? syeoh 1.thousand km driver ur new serena,any comment of this mpv? Except the GPS will have no option to add on Thailand map. Which I feel very disappointed because I’m frequent traveller to Thailand. Hi All, just received call from ETCM Customer Service inform me the navigator sold will not support Thailand map. For those thinking to get Thailand please don’t buy the navigator from other vendor. Typo, if you thinking to have Thailand but the navigator system from other vendor. hi, the salesman told they take 2 months to deliver the serena. if we sign bank agreement this week, do u know when is the 1st payment take effect? is it after we receive the car? hi maw…actually 1st payment must be paid 1 month after we received the car…. R u sure 3rd row is for kids only? U can adjust teh second row. Indeed, I had brought 7 adults on the car for an outstation drive. And, empty of legs room. However, the main complaints is that the middle person would not has the proper headrest, and it’s tiring when drive through long distance. Having my new serena since yesterday. The whole family enjoy it. I took 7 adults and it has decent leg rooms and everyone felt comfortable. As long as mostly not a big size persons it should work perfect. For your reference, the 7 persons we have was 4 with the average size of 170cm & 3 with the average size of 160cm yesterday. did you ask the sales person, what number is your serena in Penang? I have not spotted any other serena on the road yet in Penang. Great to know more units on the road, although I haven’t seen any. Probably I need to open my eye wider. Today, I saw three new Serena at TCM Bayan Lepas, still without number plates. TQ devilito79! ur info is correct, i juz check with ambank. Also waiting for my serena, actually a bit nervous coz I saw dark pepel serena on the road yesterday..n from far away, it’s look dolphin la..Wat say u…huhu..hopefully its not..
Well…have seen more now on the road, mostly are White or Silver… Had yet to spot the Purple one. Anyone has managed to find the accessories shop that catered for Nissan Serena C26? Or any Impulse Kit? Similar to the number I have been getting. Town driving will probably be around 11km/l. Mixed driving with 80% highway will be around 13km/l. If the meter is showing you 13.4km/l, most probably you are only getting 12.9km/l if you really calculate base on your petrol bill. Anyone test out the auto cruise control? I have just found out that the cruise control max speed limit is set at 108km/h. This is regardless of whether you are in ECO mode or not. At that speed, the true speed is only 102km/h. Bummer! Anyone knows how to by pass this? I don’t intend to drive fast but driving at ~100km/h is just a tad too slow even on our bumpy highway. hi maw…just get my serena…so far ok….how you guys calculate the km/litre…is it in the monitor…. Got my S-Hybrid about 3 weeks ago and to date I’ve been driving it for around 3,000km. My first long distance trip was from Batu Pahat to Johor Baru, carrying 8 passengers. Overall, it was a comfortable 3 hours drive back and fro. A week ago, I sent the MPV for the first 1000km service which was totally FOC. Then came my second long distance trip from Batu Pahat to Kota Baru carrying 4 passengers. Again, it was a comfortable drive throughout. Nevertheless, in my humble opinion, as I also used to own a C23 and C24 previously, the C24 gave a better acceleration compare to this one. However, the C26 has much better FC. My calculation showed that using Ron 95 (after the petrol price increase) the FC is about 15 sen/km. 1. The radio (or maybe the antennae) has a poor reception quality as at many times it receives weak signal (shown on the screen). I thought my former ALZA radio has a better quality. 2. The GPS is not as effective as Papago. For an instance, when you miss a turn, the system insists that you make a U-turn and return to the suggested route. Papago system would quickly recalculate a new route after you miss a turn/corner etc. 3. I also notice a kind of ‘wind noise’ at the driver’s and front passenger’s doors. I think this is caused by the door visor. (I did not hear such noise when I test-drove the MPV which was not installed with the visor). I suggest that any Serena S-Hybrid owner here to create a FB page so that we can have a more proper place to discuss anything related to the MPV. Tq. Thanks for review. Ya, wind noise is a bit annoying. Do u all have facebook page for Serena? I also found my auto cruise only work up till 108kmh.first i try to set at 112km h.didnt work.i thought my auto cruise was not functioning.then i managed to set it at lower speed.could be the factory setting.i m too lazy to gothrough the book.bout the gps.not as good as papago. I get more confused with this one.finally i used my sygic gps.better and accurate and upto date. Can anyone give advise is this MPV suits for those doing sales in town area? Hi devilito79, Simon and others. Just found out that there’s already a Serena Malaysia (nsocm) FB group. Maybe we can just join them. Just want to know if anyone notice that when driving at night the the gear indicator beside gear knob does not illuminate (as my p2 myvi & h city) even though the car headlamp is on.just need any feedback from those who already own these new serena s-hybrid.thanks. dah conferm ngan SA pasal lampu kat gear indicator tue. memang takdak lampu pon. 2) How abt internal sound? 3) Ur & passenger comfort level? Is it smooth..
Becoz suddenly am confused Estima 2008 or New SH with SAME PRICE. B4 this just use waja….so compare it..better than waja….internal sound…was good..
For me…recon vs new car….the warranty of the spare part…. Group nsocm cam senyap je…. stil under consideretion wan to buy tis serena hybric or not..anyone can gv advice? dear all, may i know what petrol do you pump in for your baby S-Hybrid for better performance and fuel efficiency? Indeed.. Ron 95 is sufficeint.however, if u want to achieve better engine performance, u can try 97. The general guideline is pump 3 times 95, and 1 time 97 just to help to clean the carbon accumulated at the engine. Anyone has managed to purchase any bodykit or serena accessories? any particular for fuel company like Shell, Caltex, Petronas, Petron, Bhp??? Have the car for few weeks now, all in, its great. Good space, its roomier than Estima, being much taller and sitting much higher, albeit very slightly narrower. The rear seats can sit adults OK, as the mid row has plenty of room to slide around. Same height now as Alphard drivers, see eye to eye. Seats are comfortable with upright seating, dont really like the dash design, touchscreen radio in cars are definitely no no, hard to touch while driving, but small matter. Decent fuel consumption as measured by other forumners, very light steering, the wife loves it, easy to park with reverse cam… great. From the side, it looks massive with its length and height, from the front, it looks narrow, due to its height as well. All in, no need to think about the recons, which are all bad deals, Japanese discards which sell here for more money than when new in Japan, Pui!! This is the real stuff, brand new CBU Japan, affordable, roomy. Now if only T & H will bring in their equivalent. Lastly, a Livina parked nearby had the same alarm frequency and opened both simultaneously. That was a scare. Bro Patr, do u feedback to SA? sorry, am not clear wat u meant.. Meaning, a Livina parked nearby, disarmed my alarm system with their remote. I guess this was a one in a million, depending on the encryption, but was still very surprised. Dont think their SA can do much, not unless it happens in front of them. The skirting is too low, always hit the petrol pump islands. First service was absolutely free, their service improved. Bro Sky, are they still giving the Navi/radio combi free? yup, still got the item free. Hi, Today I pair the Bluetooth come with Serena with my smartphaone. when call coming in the BT from Serena doesn’t work at all. Anyone facing this problem before? my wife did tried calling using the BT and it works. But after several times the ETCM hang. Need to restart the car then okay. anyone got the ETCM hang? Wow, 1st service at 1000km is foc….good. How abt service at 5000km? Told by SA that we can go for 7000km interval if using semi-syn, and 10,000km if going for full-syn. Any idea on the service charges on maintenance? Hi All, does anyone already got solution fix the poor FM radio signal? first 10k or 6 month foc 3 times services and part. Maw, if you meant the water then it was not leaking lar. It’s the water from the aircons. Serena came with 2 sircon compressors: One infront and the other at the back. 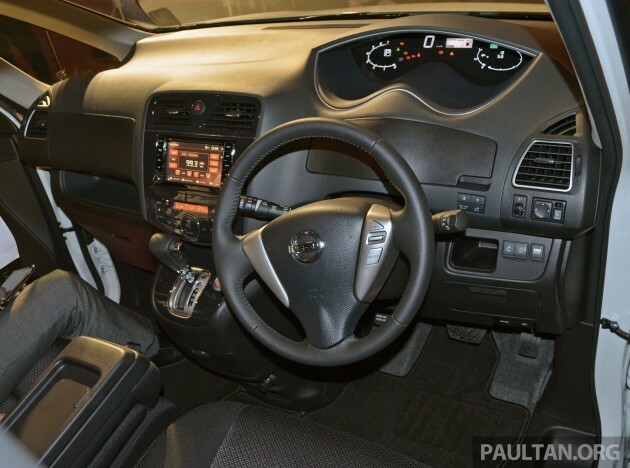 Nissan Serena hybrid isn’t a full hybrid…. The functions of so called “s-hybrid” are the same as the mazda6 ieloop n the upcoming mazda which also comes with the same functions. Yeah.. Maybe mazda biante as well . It only uses the rechargeable capacitor / battery to power the aircond n other electronic stuff when the engine is idling. Yeah, the engine stops when u stop. Why only nissan gets the tax exemptions n not mazdas?? Understood the same function also installed in bmw , audi n Mercedes . Do they get exemptions too? Or the consumers being cheated? Tan Chong is selling serena s hybrid year manufactured 2013 at RM141K. They only discount 8k. Is it worth buying? Dear all owners, please share your reviews on this Serena S Hybrid year 2013. Thanks. Next Post: Merc to expand FWD lineup with CLA Shooting Brake?